Sergeant Major William Henry Barrett and his wife, Mary Ann, lived here with their children for many years. Mr Barrett, who died in 1922, was a drill instructor at Cheltenham College, a position which he held for 36 years. The house was demolished in 1990 for a new row of shops and this one was leased to TeleVid, a company that repairs and sells television sets and other domestic electrical equipment, such as vacuum cleaners, toasters, lawn mowers and hair straighteners. The business is jointly owned by John Robinson and Derek Stevens and was first set up on 1st April 1988, in Croft Street, moving to Bath Road in November 1991. Sales of televisions, vacuums and DVD players reduced in the 2000s as internet - based retailers and the big supermarkets started to sell electrical items. However customer demand for repairs remained steady and more than 50,000 repairs were carried out in this shop in Bath Road. In August 2012 the company relocated to larger premises at the Maida Vale business centre in Leckhampton. This shop was then empty for a little while before becoming home to Emporium gifts and cards towards the end of 2013. It is run by husband and wife team David and Angela Theobald, who had already established a branch in Winchcombe before opening this shop in Bath Road. 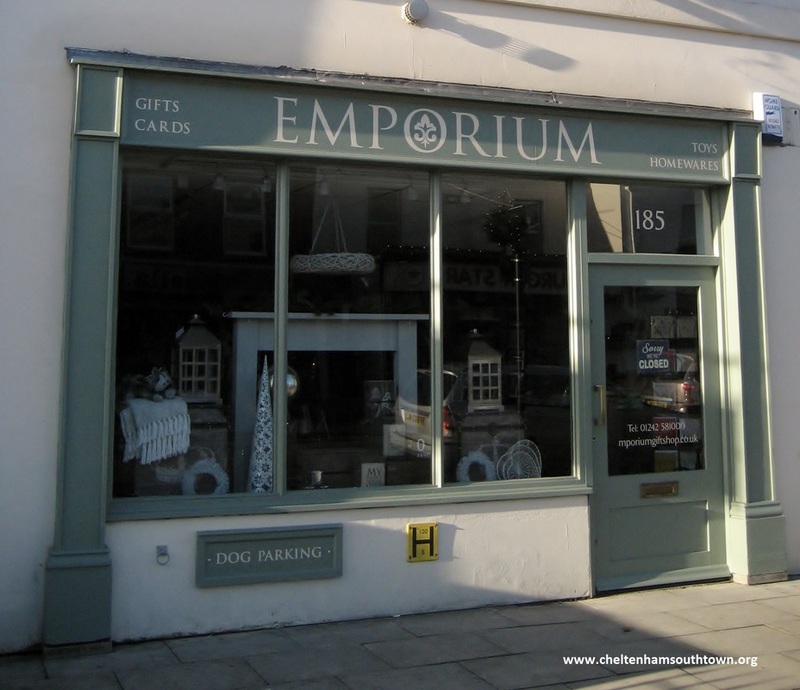 Emporium stocks unusual and tasteful gifts, homewares, toys, cards and accessories. The shop has a dedicated children’s section and one aimed at men. They also sell their own candles in recycled glass and packaging.